Archaeology impacts the lives of indigenous, local, or descendant communities. Yet often these groups have little input to archaeological research, and its results remain inaccessible. As archaeologists consider the consequences and benefits of research, the skills, methodologies, and practices required of them will differ dramatically from those of past decades. As an archaeologist and a Native American, Sonya Atalay has investigated the rewards and complex challenges of conducting research in partnership with indigenous and local communities. In Community-Based Archaeology, she outlines the principles of community-based participatory research and demonstrates how CBPR can be effectively applied to archaeology. Drawing on her own experiences with research projects in North America and the Near East, Atalay provides theoretical discussions along with practical examples of establishing and developing collaborative relationships and sharing results. 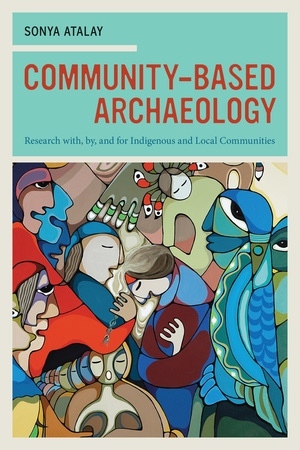 This book will contribute to building an archaeology that is engaged, ethical, relevant, and sustainable. Sonya Atalay is Assistant Professor of Anthropology at the University of Massachusetts, Amherst. She is an active researcher, on the editorial board of American Antiquity,and editor of the Archaeology and Indigenous Peoples series sponsored by the World Archaeological Congress. In 2009, she was appointed by the United States Secretary of the Interior to the national committee overseeing compliance of the Native American Graves Protection and Repatriation Act (NAGPRA) with reporting duties to the United States Congress.